An application for a planning permit and planning scheme amendment has been submitted. Another step closer to reality for this beast. The protruding portion near the top looks a tad ungainly. At first I felt the same, but it does grow on you. So many people are talking about this feature, one might say it's what makes it stand out from the rest. A 1.17km shadow occurs at 3pm on the winter solstice and just before 4pm on Anzac Day, and on Remembrance Day it occurs just before 5:30pm. 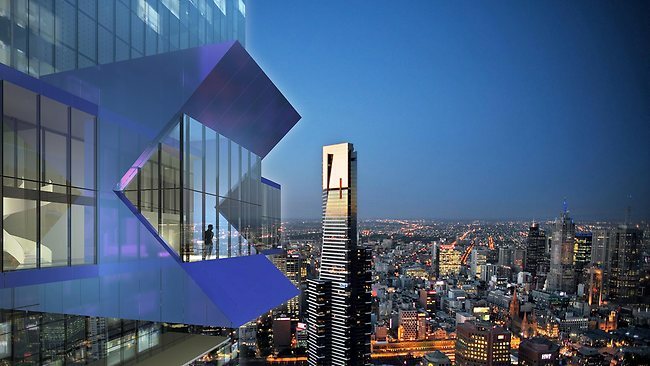 Architects Fender Katsalidis, who designed the nearby Eureka Tower, are behind the Australia 108 project, which would be the world's 18th tallest building at 70 Southbank Boulevard. Why is Doyle carrying on like this? I can’t believe I actually voted for him in the last council elections (he was the best from a bad bunch). One can see from the diagram above that the shadow doesn’t actuall touch the Shrine and it is only the masts that get close. Anyone that photographs buildings a lot like I do realizes that shadows from thin masts, etc., move very quickly (in minutes), they barely even register. Aesthetically speaking, great height gives a building elegance and the wow factor. A short fat building usually does the opposite, so I ask you, how can a building south of the Yarra in Southbank ever be too tall? Mr Dragomir.... I like how you have "squashed" Queensbridge Tower right into the western facade of Freshwater One :) Hopefully no Southbank residents see that render and take it as gospel. P.S. Renders look great! Good Job! A CONTROVERSIAL plan to build the Southern Hemisphere’s tallest tower has been approved for Southbank. Planning Minister Matthew Guy has given the green light to the $600 million Australia 108 project, which will feature 664 apartments and a luxury hotel. The article goes on to say that the project will create 300 construction and hospitality jobs and could START THIS YEAR! What's done is done, but the travesty of this building (and what it represents) is profound. Despite planning efforts, Southbank will now be the home of supertalls. I just hope that this means that they can be kept away form higher ground - though I doubt that if this Planning Minister stays much longer. The question is really... would you prefer a 1000 people living on an area of 2,000 sqm near good services and good amenity potentially having a smaller impact on our carbon foot print or a 1000 people living on an area of 2,000,000 sqm near not so good services and not so good amenity having quite a large impact on our carbon foot print? Dang. Just noticed Prima's also somehow shifted to the middle of Power St. I'll fix and repost. Fantastic news that its been approved so promptly..
One building planned to be built over 300m does not make Southbank the home of supertalls, wish it was the case actually. The definition of a supertall is a building over 300m tall. I see a well designed cutting-edge landmark for Melbourne here, so can you please explain to us what makes this building a travesty? Melbourne's motto: Vires Acquirit Eundo (we gather strength as we go) comes to mind when I see the renderings of this structure. I feel it represents Melbourne's spirit very well, so tell us, what does it represent to you? We are so lucky to have architects such as Nonda Katsalidis and Karl Fender based here in Melbourne contributing and enhancing design city Melbourne. Christoph, whilst I have a bit of a love hate relationship with the design of this building I also can't see how the approval of it represents a travesty. I'm glad that in parts of southbank we are getting more variation in the skyline than we would have done if the councils mediocre scheme had to be followed to the letter. There are problems in southbank, tall buildings in and of themselves are not one of them as far as I can see. Care to explain further? ^^ I agree. I fail to see how this is a travesty. This is the right location for such buildings. Nonda Katsalidis was born in Athens in 1951 and migrated to Melbourne, Australia, at the age of five. He studied architecture at the University of Melbourne and graduated in 1976. 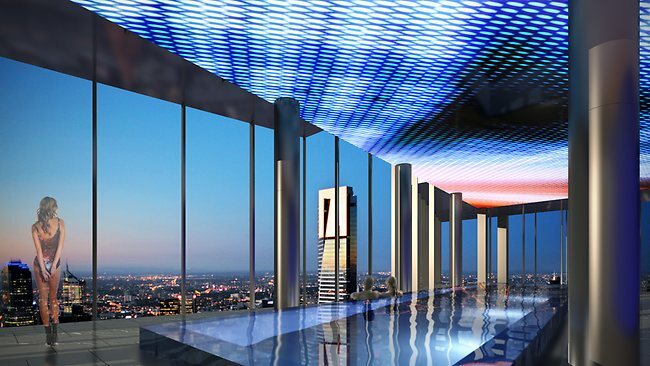 Katsalidis is mainly known for being the architect of Melbourne’s tallest building, Eureka Tower. 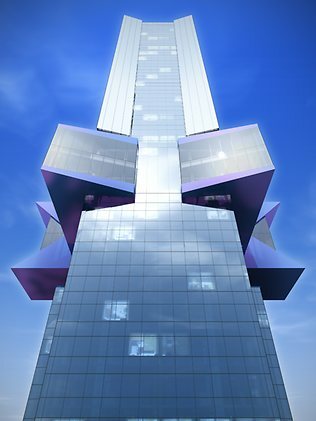 Katsalidis’ architecture firm, Fender Katsalidis Architects (FKA) in partnership with Karl Fender, gained approval in March to construct Australia 108, a super-tall skyscraper located in the Southbank precinct of Melbourne, Victoria, Australia. Nice bit of reading there. Thanks RS. The old adage that "no news is good news" usually does not apply to property development. 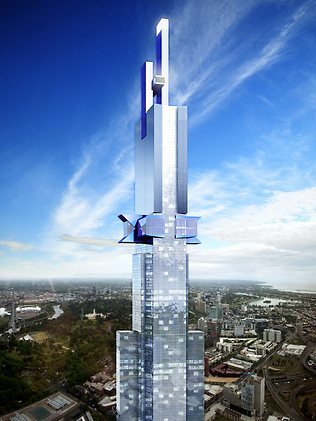 Ambitious plans to build the southern hemisphere's tallest skyscraper in Southbank have been abandoned. Fender Katsalidis Architects, the consortium behind the landmark Australia 108 building earmarked for 70 Southbank Boulevard, has confirmed it is redesigning plans for the site after a ''hybrid of requirements'' - from bodies such as VicRoads and the Civil Aviation Safety Authority - rendered the proposal ''impossible''. 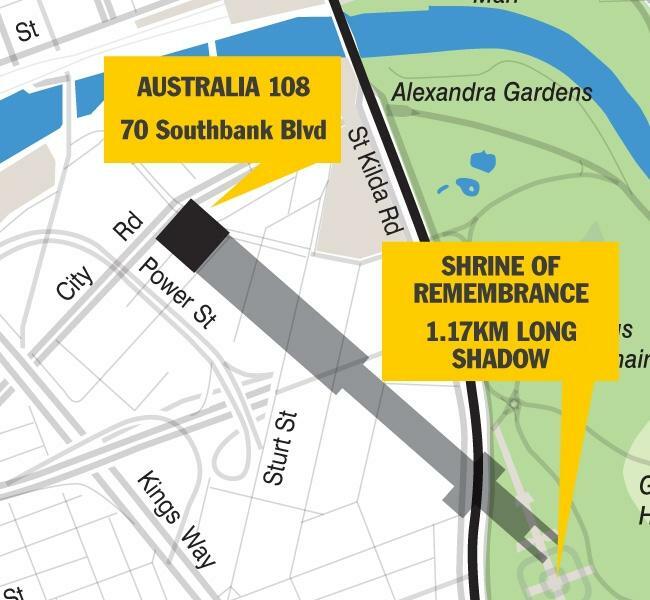 Planning Minister Matthew Guy approved the 108-level proposal in March after a short consultation period and despite objections it would create traffic congestion and cast shadows over the Shrine of Remembrance. It was also claimed the building would obstruct a flight path. Its scale was also rejected by Melbourne City Council. New plans for the 2642 sq m site are expected to result in a relatively more modest sub-100-level tower or two 50-plus level buildings, but this could not be confirmed. Website's been updated to say new designs are coming soon - it was first announced around this time last year, mid November I think, might be revealed next week? Just a guess, probably not right lol. Interested in why it says designs also rather than just simply new design or something similar considering the idea that it might be redesigned into 2 buildings was floated about a few months ago. See what happens I guess, hopefully still taller than Eureka!